1. FAQ in pdf format and available via search (magic archive). We can identify 20-50 most frequently asked questions from volunteers and XO/Sugar users that we get through RT and write them down with best possible answers maybe even with images. We also should try to expand Nick’s initial write up, Mark Battley/Nancie Google Doc and other possible questions in story telling format. Then we’ll combine them in a pdf doc and also into the map so people can type the question in Search and get the answer via magic archive. It will also help transfer part of the support gang/RT work to the map and triage questions. 2. Answers by Live Caring Humans. Discuss topics, new articles, olpcnews themes, any news, events, videos, etc. All that is happening now on support gang list, but has 100% value not only for 200 people on the list but whole OLPC community worldwide no matter what home country. That is the way for them to keep up to date on news/release, see and post comments. c) Offers of grants, jobs, internships, etc. How can we do multi-language support? 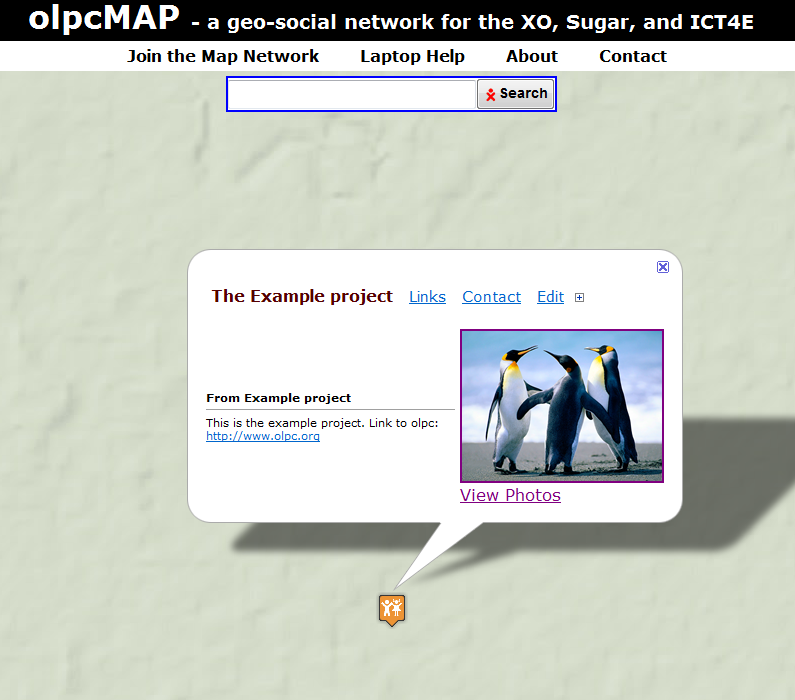 If someone knows a better answer to the question in Help, should we prompt people to post it via olpcmap.net/share? When a question is posted for live caring humans, should it be emailed automatically to the right people, who sign up to receive those and answer by topic/area (potential ambassadors/mentors/SMEs)? In order to participate in discussions, how do people identify themselves – with their email, marker id or anonymously? Should some questions be answered off-line or all be on-line? Please send us your ideas as we are still working on the design of these pages. Thank you! Community-organized Haitian EduTech Dinner was held at OLPC on Tuesday, Jan 25 at 5PM. Dinner was prepared by Haitian-American OLPC volunteer Alexandra Merceron. Boston’s http://Haitian-Coalition.org joined OLPC_Boston monthly community meeting to discuss EduTech plans (OLPC, Sugar, http://open1to1.org, etc.) emerging in Somerville Massachusetts, as well as the 400 OLPC laptops shipping to Haiti shortly. I joined the meeting at the very end, but I was present when Beth of Waveplace discussed eToy workshop plans for mentors to be organized both in Haiti and the US, and announced upcoming Mentor Workshop in St. John, US Virgin Islands May 23-June 3. Caroline Meeks offered partnership with Waveplace for training mentors. Ryan remotely provided update Haiti in Transition—Watch Via EPHAS and revised Brochure EPHAS Brochure Proof_Rev3 regarding his trip beginning Sunday. “Every Person Has a Story” is exclusive documentarian for a couple thousand people moving from one of the American Refugee Committee’s main tent city. It was a real pleasure to see you all at the meeting. Although my time with you there was very limited due a schedule conflict, I did enjoy being there. I am impressed by the great work you are doing to help lift up my brother and sister Haitians. We all share a common vision and have common denominator which is to help develop people’s potentiality to be productive by providing access to education, science and technology. Once again many thanks to you Adam, for coordinating this effort. Bringing all these organizations together to network and share information is very important. I would like to meet with those that are going to Haiti while I am there, we can probably visit some of the camps where the Haitian Coalition has been working. 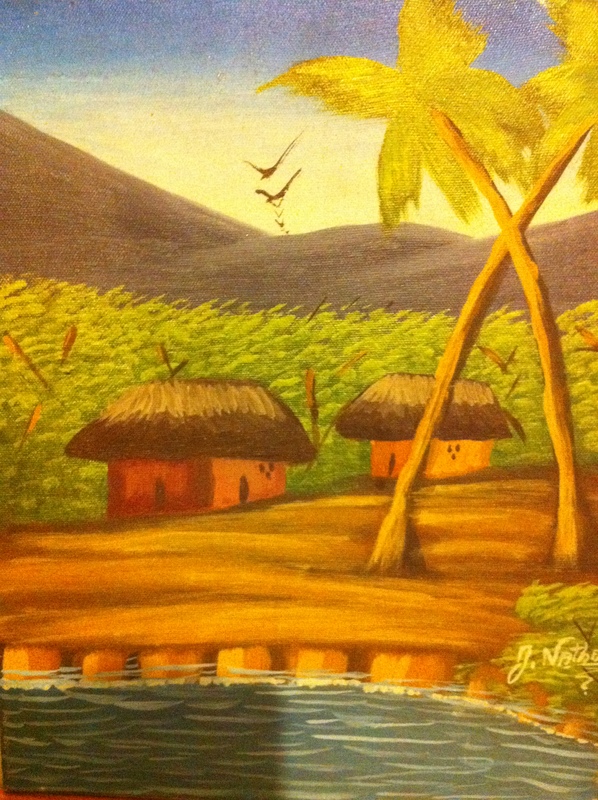 Thank you, Benaja, for this beautiful Haitian Painting! 1. At first, it was just an idea. 2. Then it was the idea of many people! 3. 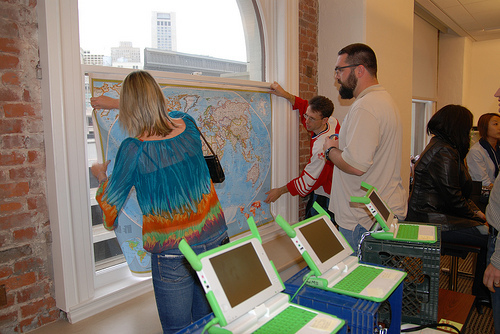 Nick made it all real and launched the map on the last day of SF OLPC Summit. 4. December 2010 Cambridge olpcMap Sprint gave it more meaning and map beautifiers worked hard to add markers and make them pretty. 5. We’ve been experimenting with the “look and feel” and we are looking for testers. 6. Norway’s team liked the project and offered to create video and pdf tutorials that they finished. What a great job! We have 465 markers on the map. Uruguay, Argentina and Paraguay are very interested in joining, which will be great but we have to prepare in terms of scaling. Since we are a grassroots project that is not money-generating, we are trying to use free tools available out there for our map. One thing Nick experimented with was combining markers in clusters. Let us know if you can suggest anything else to deal with scalability issues, please contact Nick. Norway’s team finished both Video and pdf Tutorials for olpcMAP and both are brilliant! Thank you, team, for your work and creativity! 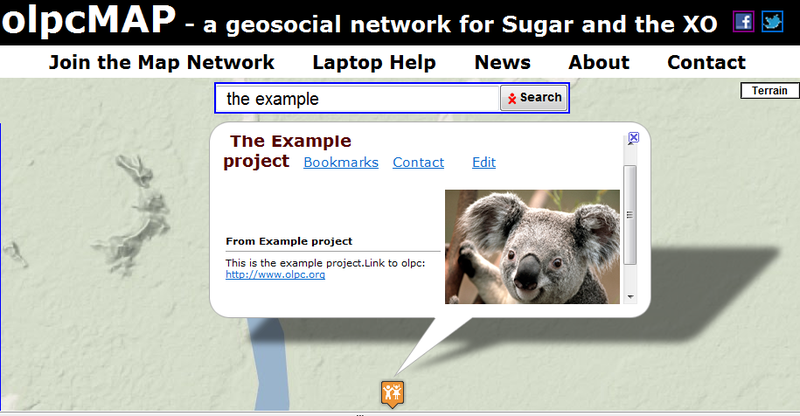 I adore Example project marker with koala picture! To be posted soon. Adam is organizing Haitian event on Tuesday this week, if you are in Boston area on that day and willing to attend please contact Adam. 2. Meet-up. Upcoming meetings/conferences/ideas. This section could accept posts from all markers. We can list all OLPC related events happening in the world, step by step, line by line. Here will be all upcoming sessions, meetings, conference calls (including Sunday calls) for all groups, no matter what region. Then people can join whatever event they like, also invite others to their meeting (just like Meetup). It could possibly be like Craigslist: post an idea and people will follow-up (off-map for now) with those who posted. 3. Autofeed to new markers activity from Google maps, so that people know who is new and who is active. 4. Blogs or links to blogs. 5. New jobs and internships (anyone can post here). 6. Featured marker or beauty contest winner of the week (with short explanation why). 8. Autofeeds about OLPC and the map from other media, like olpcnews, youropenbook.org, twitter, etc. For now, you can install Google Translate and it will translate the page to your language if it is not English, maybe we can come up with something even better in the future. To implement postings we could have a form to fill out so that anyone can leave notes for every section and it will link to their markers(via bookmarks) or email. This makes easy for Alex to grab bits of news from here and create tweets… This page will be the heartbeat of our map. Please, let us know what you think by writing to the team at beautify@olpcMAP.net. Between 4 of us we started working on our 7 computers (including XOs) in the dining room next to the window overlooking beautiful valley. 1. Raise awareness. 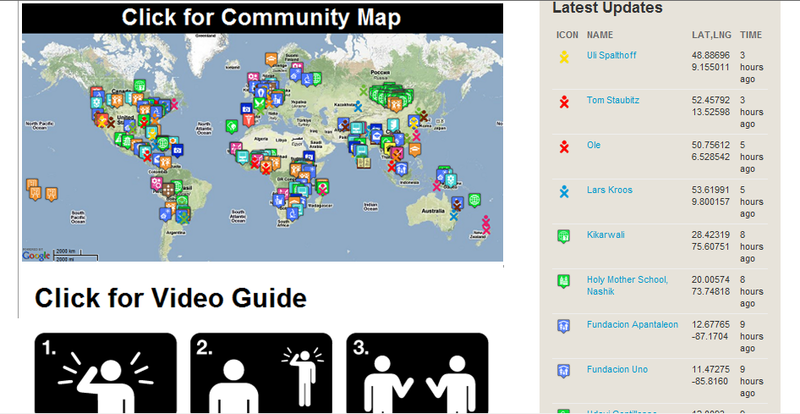 Not all OLPC/Sugar contributors know about the map. We thought that the best approach would be to find active volunteers in each country and ask them to map themselves, together with their colleagues and local deployments if any. We identified countries/regions that are either not represented or underrepresented like Japan, Middle East, former Soviet Union and others. Then we divided continents. Nick wrote in Japanese to someone from the localization team in Japan. He also wrote to Bruno, the creator of GCompris activities. Adam wrote to OLPC Morocco and promised to follow up on the whole Middle East section of the map. Nancie decided to cover Asia and I – Russia and adjacent territories. By the end of the day Bruno (France) together with Moroccan group and three new Russian deployments appeared on the map. 2. Updates. 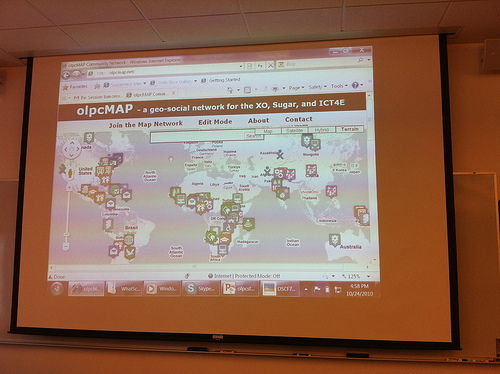 We want to feature updates about the map and OLPC. 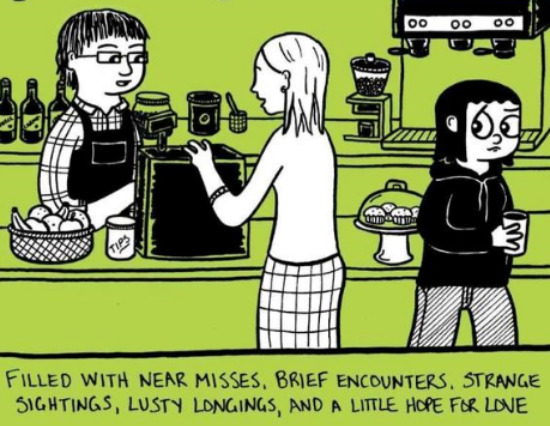 I want it for content delivery via some kind of newsletter or datafeed. Nick told us about Youropenbook.org (anti- Facebook) that summarizes all Facebook updates that are public by search engine, say, OLPC. We want all of these updates to be fed into the map. The same with new activity on the map itself (new dots appeared, etc.) Now you can see recently updated pins at these links: in Google Maps and in Google Earth (download once, it updates each time you open Google Earth) http://olpcMAP.net/kml?page=1&nl=true. I wrote to Alex, who is designated to be the Voice of olpcMAP, to ask for her opinion on what should be in the newsletter/datafeed and how often. Possible ideas: (featured volunteer of the month, student of the month with his/her work sample, question of the month, jobs/internships posted, new events, new achievements, other highlights, maybe new contributor program recipients, Sunday talk announcement, or recordings from those talks, quiz/trivia question, etc. Newsletter is a summary of latest updates, similar to SJ’s http://www.netvibes.com/gen-xo#olpc_news. We still need olpcMAPblog on the map and twitter updates to go on the map… Nancie insisted we create Facebook page olpcMAP. 3. Redesign Help. We discussed a more transparent version of support gang support integrated into the map. We could prompt people to try their questions through the search window and get the best close answer from our magic archive, that would have 100 FAQs, and ask real-time human section, which would be forum for all, so that public, including active OLPC volunteers would answer and comment on. Both are still work in progress. From Adam: “Peer mentoring/tutoring is much more than a slogan, much like age-old comparison-shopbots like Consumer Reports, and we should learn methodically from it. Something similar, but better than: Yahoo!_Answers and Answers.com “. 4. Develop Profile page. Nick said: “A separate profile page would make it easier to beautify your map point and edit new sections, without working inside Google Maps on a multi-part form. More on this later. My first, un-stylish design for a profile page is http://olpcMAP.net/page?id=359001“. We also watched two videos, both relevant to what we do: one about motivation RSA’s Drive and the other about why people volunteer and what to do next from National Conference on Volunteering and Service 2010 in NYC. On the way back I asked both Adam and Nick, what triggered creation of olpcMAP in October 2010. It turns out one of the triggers was ok from official OLPC, another – good timing due to big gathering of OLPC supporters in SF and other ones. I was wondering because the portal/map was asked by many and not ones, including me both in person during my meeting with Adam in Jan and on my blog back in March 2010. That is why I was so happy to go to the Summit in SF and help with the map creation, as my wish was coming true. I guess, time was right this time. 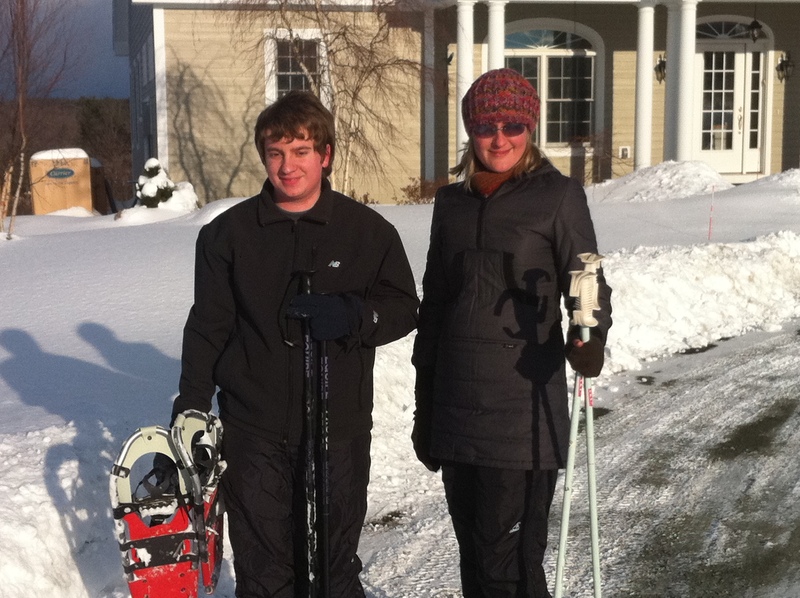 Thank you, Nancie, for your hospitality and incredible chocolate chip cookies, Nick for delish brownies, Adam – for organizing the trip and its logistics! For more info, see Nancie’s post. * You can move your NEW markers before, during, and after you add them. This makes it much smoother when you’re first adding your e-mail and moving the marker. But once you reload the page, those markers are stuck. * If your Best Photo is on your computer, you can add it directly to olpcMAP.net ! Click the Upload button on the Photo page to reveal the file selector. You’ll get a URL like http://olpcMAP.net/img?pic=671001 which you can paste into the Best Photo prompt. * I’m working on a system to move existing markers by an e-mailed link. I want to do this right so you’re not spammed, and ordinary users don’t feel like markers are ‘loose’. and repair centers”, or “news article about OLPC in Peru”, add those. Include your name so people can contact you through olpcMAP for additional information. Also, if you run into trouble or must be anonymous, don’t let your research go to waste! E-mail your best articles and we can post non-controversial links with a simple ‘shared by olpcMAP’. * A friendly front page. Don’t worry Mark and Marina, I haven’t forgotten! First Russian OLPC deployment appeared on the map! This deployment is more than 3 years old and has a solid reputation among Russian OLPC/Sugar community, I knew nothing about! See their blog and articles if your Russian is strong. Video-interviews. 7 video-interviews from SF OLPC Summit are posted to youtube by user verhovzeva. Thank you, Bill Stelzer! G1. Develop knowledge on the interdisciplinary nature of software production in which the software process interact with artistic process (i.e. the creation of heavily software-dependent artworks). G2. Support artists who utilize software for the creation of their artwork with software technology. They focus on technology such as Arduino, processing, and scratch, which enable broad audience to become makers of digital artistic expressions. 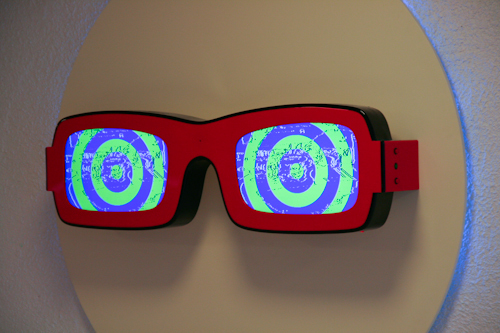 ArTe researchers exploit well defined research methods, supported by qualitative and quantitative data collection and analysis techniques, to design and execute valid research studies. The research is carried out at the Department of Computer and Information Science (IDI) at the Norwegian University of Science and Technology (NTNU) in Trondheim, Norway. IDI has a well established PhD program with 100 active PhD students. Meanwhile… If anyone needs a topic for Scratch, Etoys, etc. project, please see possible ideas here in comments. From Nancie: olpcMAP treasure hunt! She found one OLPC video (that she loves) in Malaysia! What will you find or create? 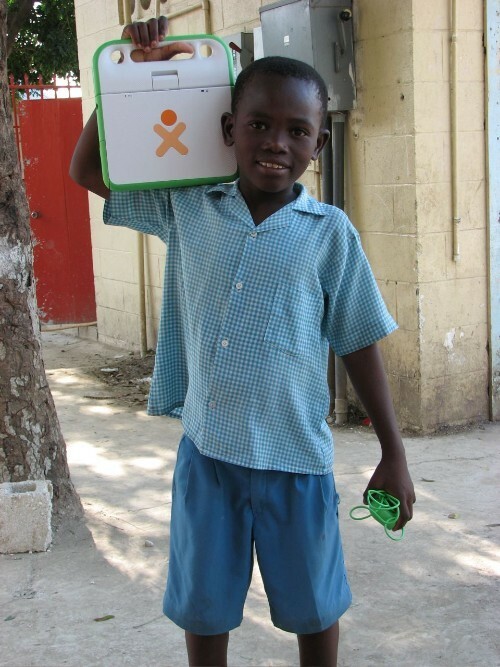 How we can help Haitians help themselves: Structuring Sustainable Haiti Grassroots OLPC Projects. Tim discussed his foundation’s vision for progressively expanding its XO deployments around Haiti. 3. e-Books: FIND THE BEST copyright-free storybook others, and curate/organize them like a proper librarian please! Entertainment based initially, Deep Learning later. 4. Translator & transcriber Volunteers Needed: English or French to Creole especially– can Elissa Carmichael from Miami’s CrisisCamp working with the Haitian Diaspora community there please explain how we can All facilitate beyond http://translate.sugarlabs.org and http://wiki.crisiscommons.org/wiki/Languages_and_Translation ? 5. Find/Recruit the best Mentors for kids, on the ground in Haiti especially, starting right now http://waveplace.org/mentors/. We’re nearly done with our new Waveplace Accord, which details the roles and responsibilities of Waveplace and our partners. First though, we need to outline what we aim to do together. Here’s the text from our accord called “The Waveplace Plan”. This is a pretty good summary of the parameters we’ve tweaked throughout our 18 pilots. It took a while to get these right. Each Waveplace class consists of five mentors and 20 children between the ages of seven and eleven. Classes are usually held after school for 90 minutes each day. Each child and mentor receives for their personal use an OLPC XO laptop with the Sugar platform and Squeak Etoys learning environment. Daily lessons are taught from the Waveplace Courseware, a collection of two-week units covering topics from a general primary school curriculum. All classes teach the Basic Etoys unit first, which covers the Etoys learning environment itself. The remaining units can be taught in any order. Mentors use techniques such as guided discovery, iterative refinement, and peer collaboration to foster a sense of ownership by each child of their own education. Children build projects which can then shared through the Internet with other children and distance mentors for ongoing inspiration and guidance. Children and mentors continuously reflect and write about their experiences, providing the basis for dynamic assessment and evolution of ideas. Mentors are trained in two week workshops with five trainers and 20 mentors. Mentors are typically taught concurrently with children at the start of a pilot. This allows them to witness our teaching approach directly as they reinforce their own understanding. Waveplace stays in continual contact with all mentors, providing support and encouragement while requiring weekly progress reports and frequent uploads. Waveplace assesses mentors at six month intervals, promoting mentors to higher pay levels as they meet specific criteria. Each mentor manages four mentors of the next lower level. Mentors are encouraged to create new units to share with the Waveplace community, just as they use units created by educators worldwide. 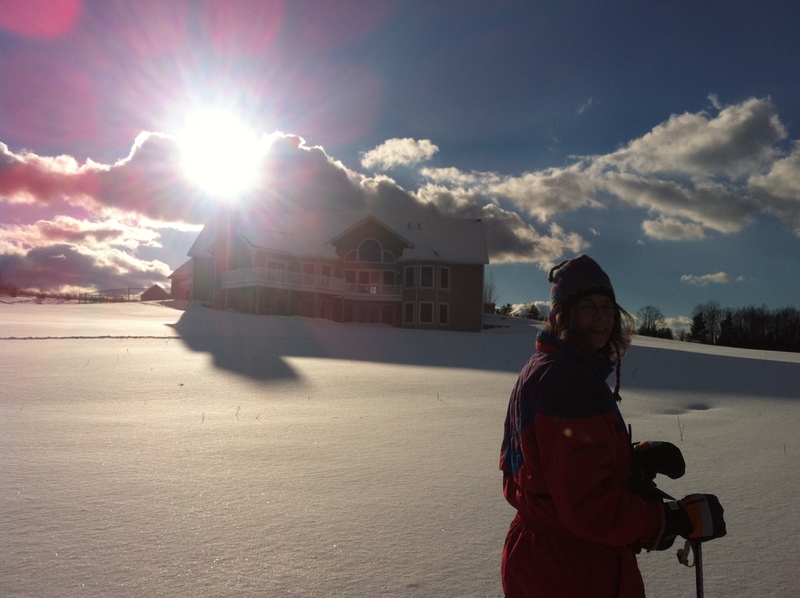 Please, also see today’s post from Beth http://www.travelgogirl.com/?p=7218. Great work, Waveplace!